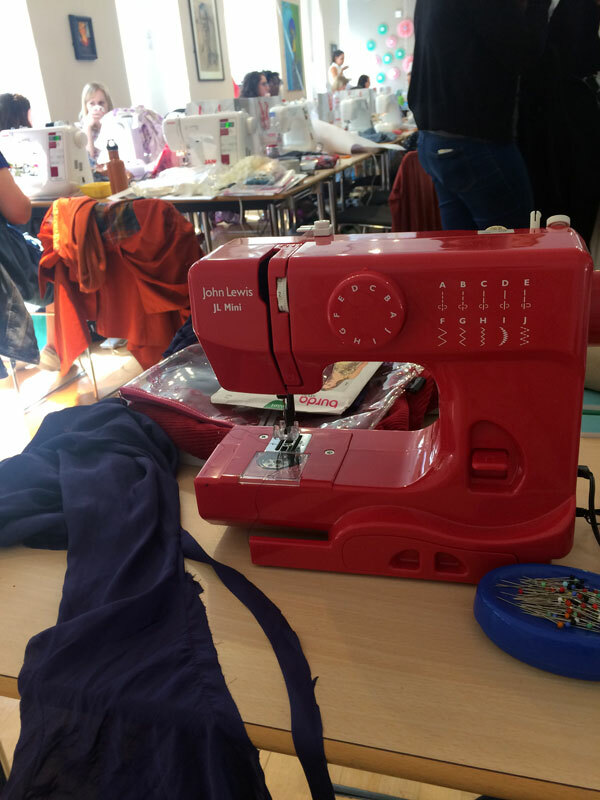 Sewing retreats are fairly common in America from what I can tell, but up until last year's inaugural Sewing Weekender, there'd never really been a large scale sewing retreat here in the UK. I was lucky enough to snag a ticket for myself last year, and I had SUCH a great time as a punter that I knew I wanted to go again should Rachel, Kate, and Charlotte plan another one. 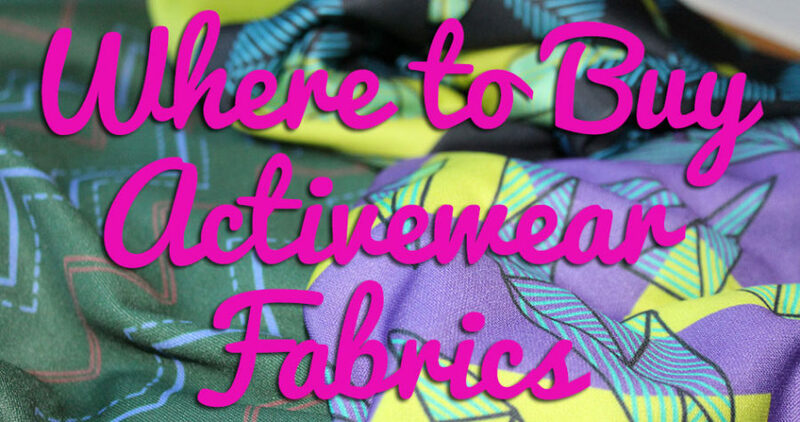 Luckily, out of the writing of my book I realised that a lot of the points I made about sewing activewear were also heavily applicable to anyone with a body who moves (so, err, everyone except possibly the comatose) so I approached the organisers months ago saying I'd love to talk about Sewing For Movement at the next event if they were planning one. I'm glad I got in touch early, because as it turns out, this year's Weekender sold out in under 20 minutes!! 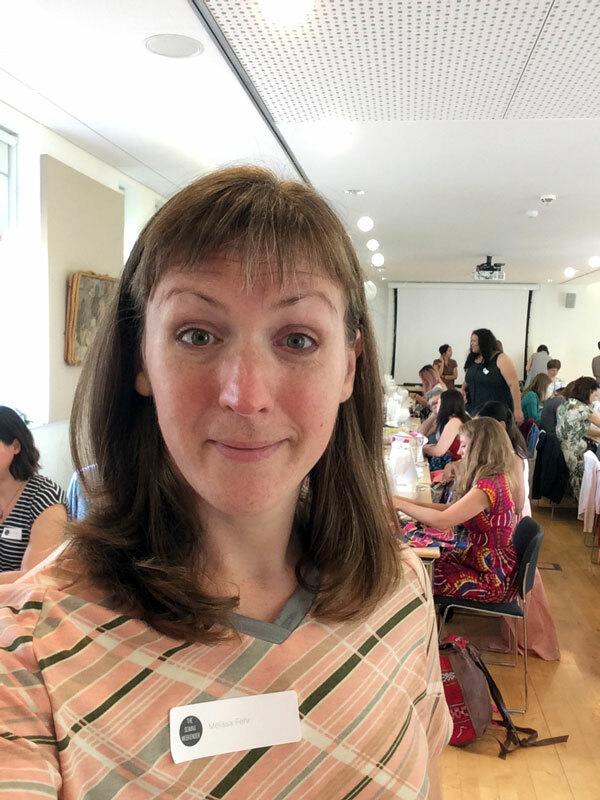 Sewing retreats are fairly common in America from what I can tell, but up until last year’s inaugural Sewing Weekender, there’d never really been a large scale sewing retreat here in the UK. I was lucky enough to snag a ticket for myself last year, and I had SUCH a great time as a punter that I knew I wanted to go again should Rachel, Kate, and Charlotte plan another one. 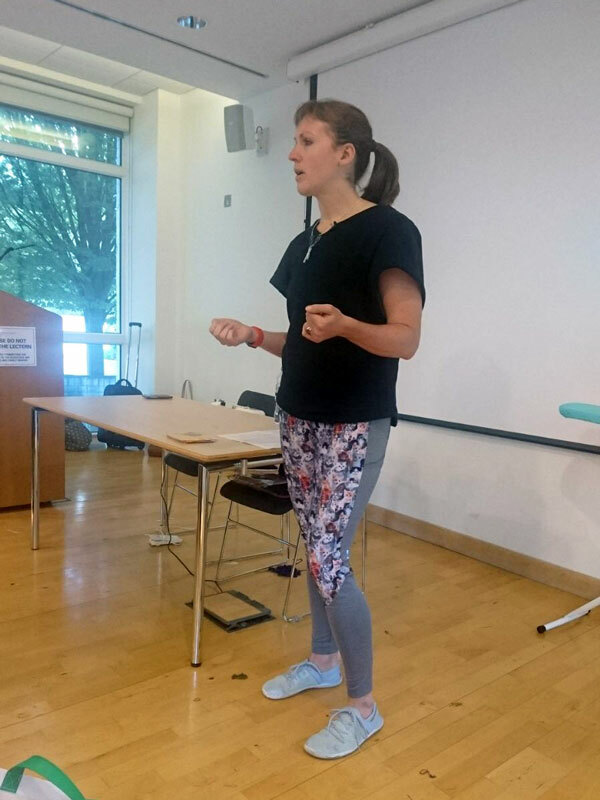 Luckily, out of the writing of my book I realised that a lot of the points I made about sewing activewear were also heavily applicable to anyone with a body who moves (so, err, everyone except possibly the comatose) so I approached the organisers months ago saying I’d love to talk about Sewing For Movement at the next event if they were planning one. I’m glad I got in touch early, because as it turns out, this year’s Weekender sold out in under 20 minutes!! So was it any more or less fun to be a speaker/prefect instead of a paying guest? 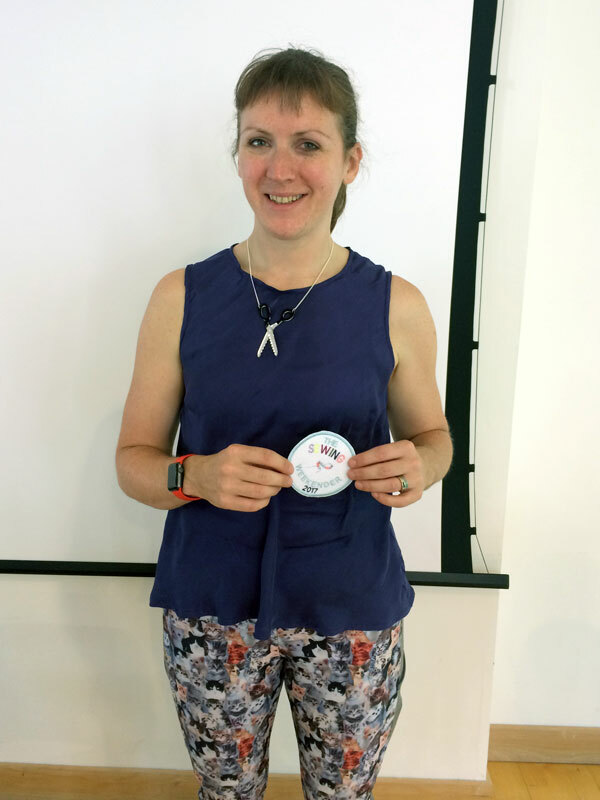 Well, that’s hard to answer as both years have been a ridiculous amount of fun, and it was a blast to have so many lovely people recognise me, come say hello, tell me how much you love my patterns, congratulate me on my medals, and ask me great questions! 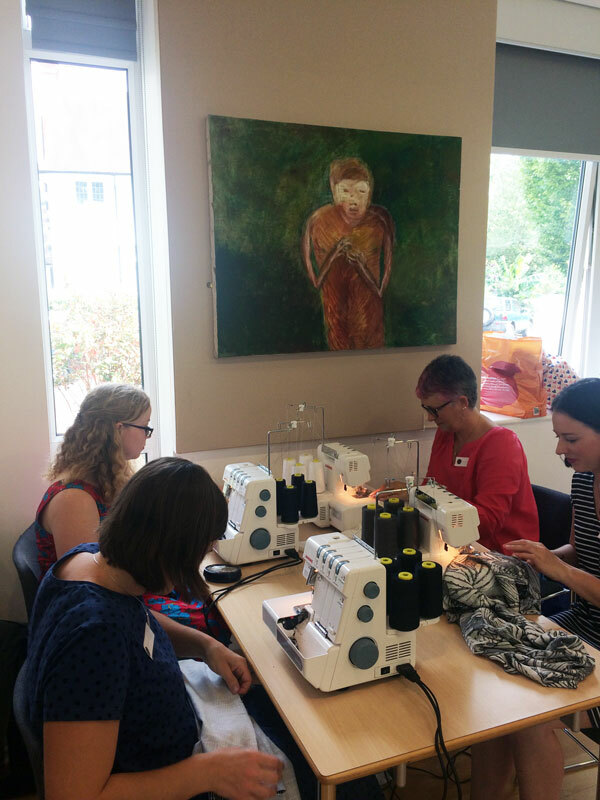 It was really great to see that the organisers paid attention to the feedback from last year, too – beyond changing the setup from having an open sewing day on Saturday, then all the talks on Sunday, this year there was a great mix of sewing and talks both days, plus additional workshops in hand and machine embroidery you could pop in and out of, too. The room setup was also much improved, with two long tables replacing the myriad of round tables that were hard to navigate around. So even though there were far more sewing machines this year (nearly 1:1 instead of having to share with a partner like last year), it was way easier to move around and mingle and see what everyone was working on. 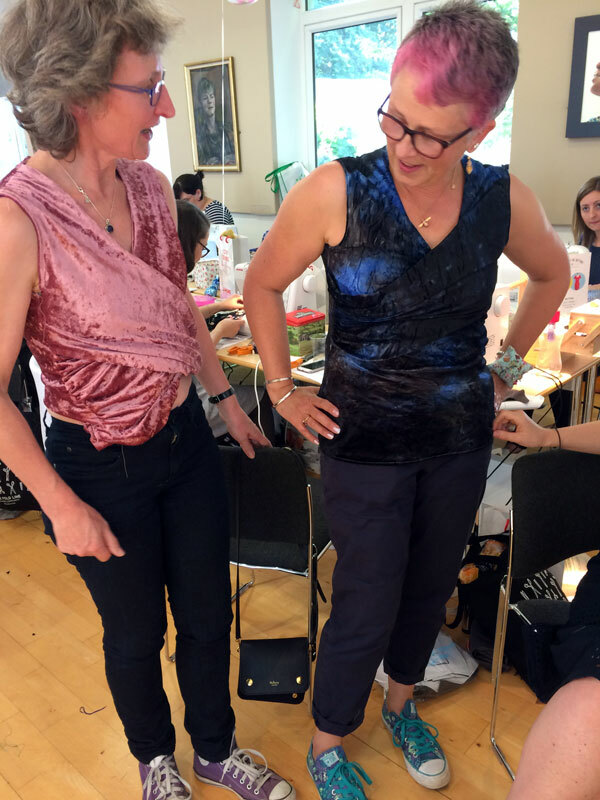 I decided to bring along my trusty JL Mini travel sewing machine again this year as I didn’t want to take up a machine for an attendee, and Fiona and I set up at the front of the room on Saturday afternoon to get a little sewing done ourselves. 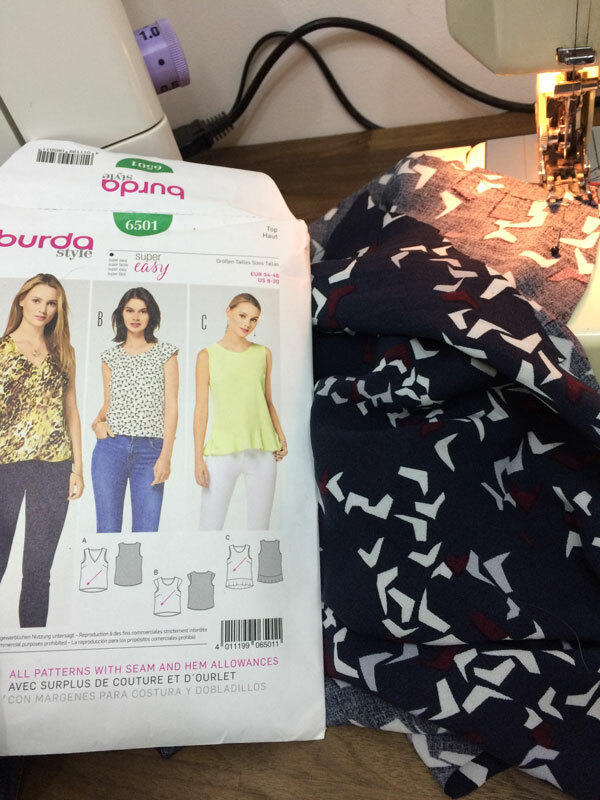 I’ve recently been on a quest to find the perfect shell top I can make with 1m cuts of fabric (more on this next week), so I had a test version of Burda 6501 to occupy me. I wanted to make a wearable muslin so I chose some lightweight “I can’t believe it’s not silk” woven poly (or possibly cupro?) fabric Claire had gifted me a while back before I cut into some of my souvenir holiday fabrics. The staticky, slippery, shifting fabric cut on the bias didn’t result in my neatest work ever (especially on a little machine with one speed and no walking foot!) but it’s wearable enough to see that I really like the fit and nice enough to layer under other tops for the colder weather ahead. 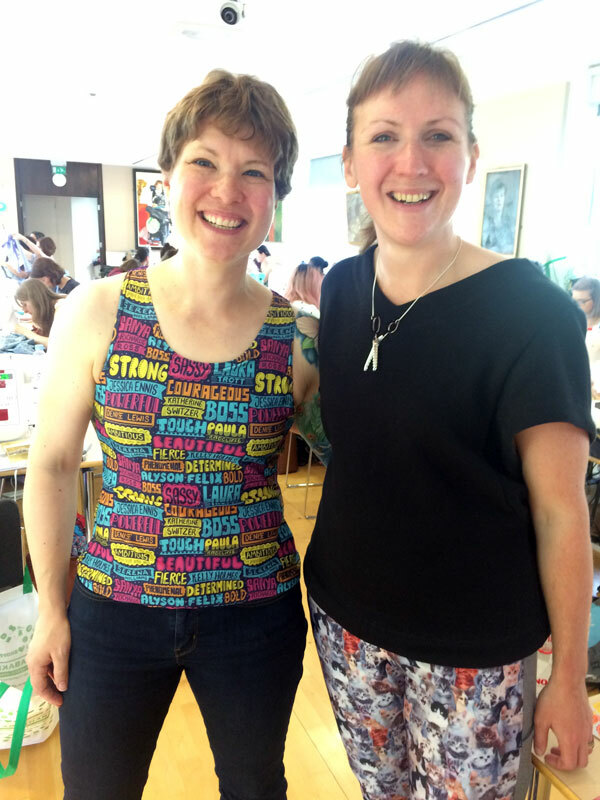 One of the best things about the Sewing Weekender was seeing so many lovely sewists in one room and getting to catchup casually over the course of two days (and a pub dinner) rather than having to rush conversations in during a crowded fabric shop frenzy as usually happens in UK sewing meetups. 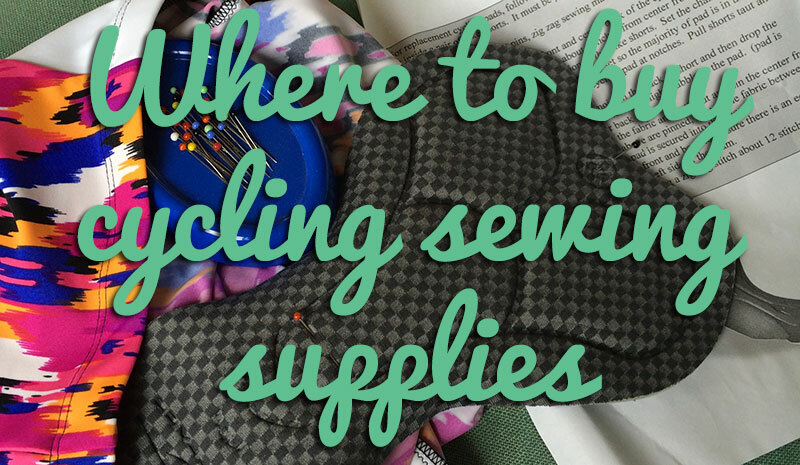 Plus it means that you can see lots of new sewing patterns being worn (and moved in!) by other people that may not have grabbed you much online. I don’t really go for voluminous garments myself, but seeing so many others wearing the Closet Case Files Charlie and Kalle patterns really made me rethink these, and Elena’s culotte jumpsuit was just to die for in person! And of course there was the small matter of my talk on Sunday morning! Obviously talking about activewear and movement is second-nature to me by now (sorry if I’ve ever bored you in a pub! ), but making the topic applicable to everyone, and not just people who exercise was something I really wanted to emphasize. 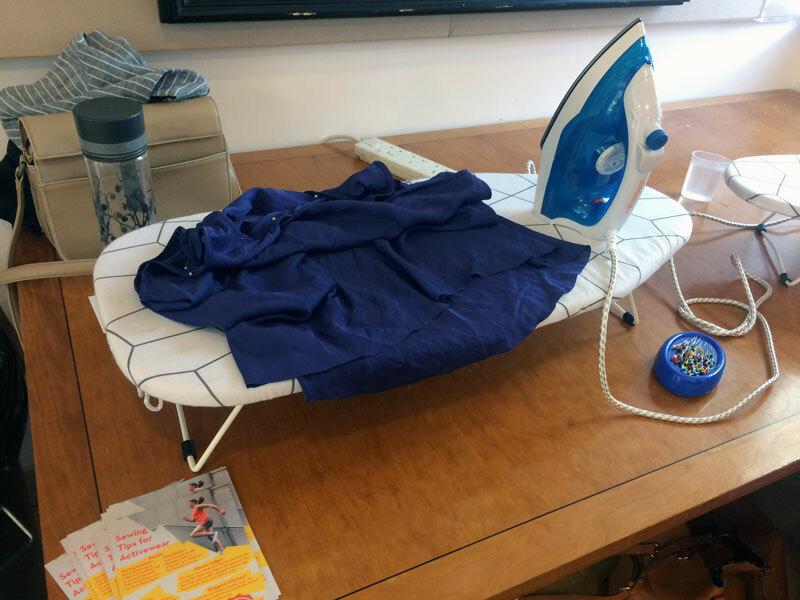 I talked about four main aspects to think about after you’ve sorted out the traditional fit advice, which is something I talk about in my book for those of you would couldn’t get tickets to the Weekender! 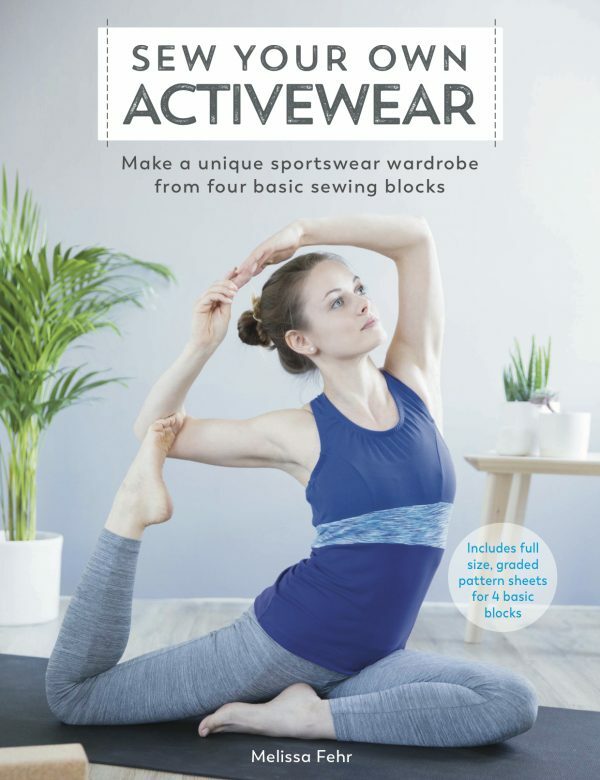 If you’re coming to the GBSB Live show in September, definitely stop by my stall as I’ve got some great flyers full of activewear sewing tips and I’ll be talking about Sewing for Movement throughout the event, too. I can’t talk about the weekend without at least mentioning the impromptu Ninja Challenge! Both Elizabeth and Sue finished their projects an hour before the finish on Saturday so Fiona and I were tasked with giving them a short and speedy challenge using materials from the swap table (oh yes, there was a glorious swap table!!). 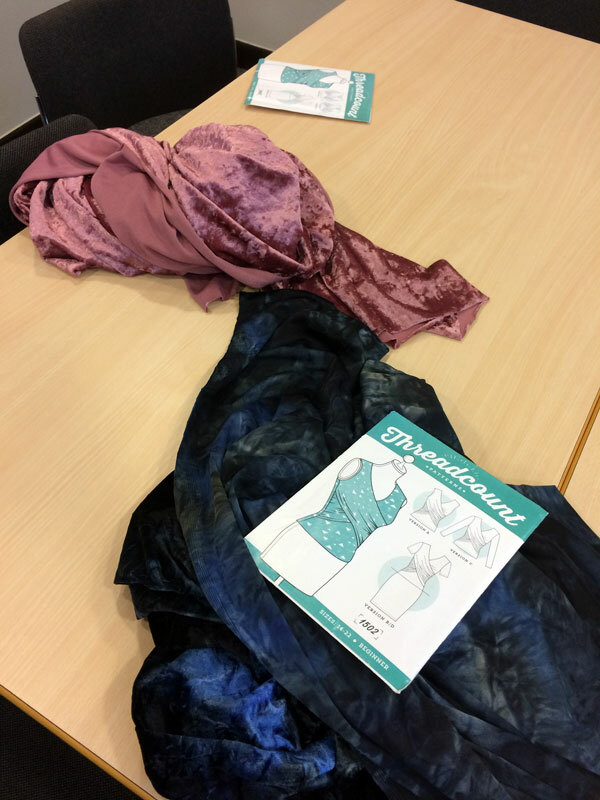 We managed to find two copies of the same pattern that looked doable in a few hours, plus two lengths of stretch velvet that were long enough for the pattern, too. This seemed like a glorious bit of good luck to create an even playing field, so with an hour left in the day, we sounded the starting bell in a frenzy of tissue and petroleum-based crushed velvet. And believe it or not – both were able to wear… something(!) in just an hour, which we really weren’t expecting! Watching the progress and the finished garments was pure entertainment, and Elizabeth’s cries that she felt like she was wearing a sweaty couch had me in stitches!! Oh, and one other improvement on last year – the goodie bags this year were off the charts!! 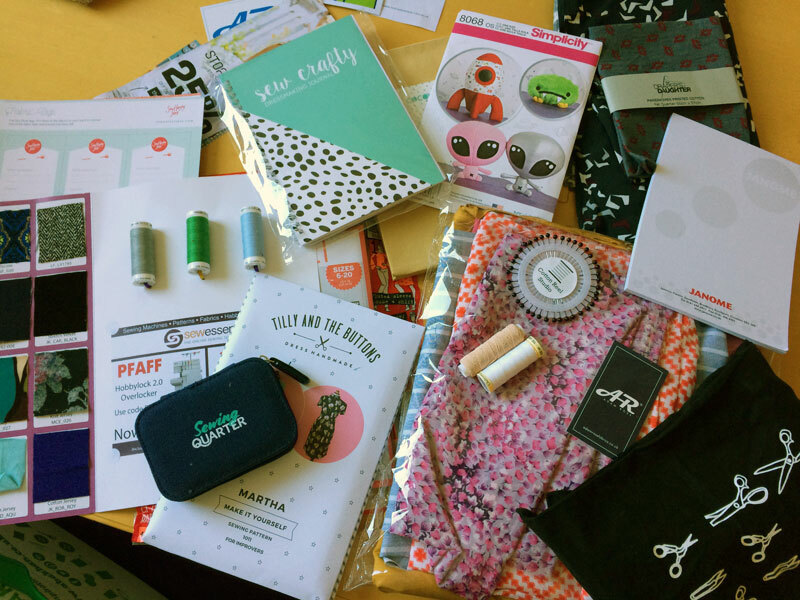 I honestly wasn’t expecting to get one as a speaker, but omg they were so good – several 1m cuts of nice fabrics, several patterns and magazines, some fantastic discount codes, notebooks, shopping bags, the works! And I may have cut into one of my goodie bag fabrics already (a lovely viscose from Stoff & Stil! ), but I’ll talk more about this next week! Separator image Posted in Inspiration and tagged with burda, event, reflections, shopping, social. Sounds fabulous! He when dies/has your book come out?